We added a total of 4x 160w (640w total) solar panels w/ Blue Sky SB3024iL MPPT Charge Controller & IPN Remote to this great looking fifth wheel. We replaced the factory battery bank with 4x 12 volt RELION Lithium Ion 100Ah batteries & custom battery box that houses the two additional batteries that are not stored in the OE battery trays. 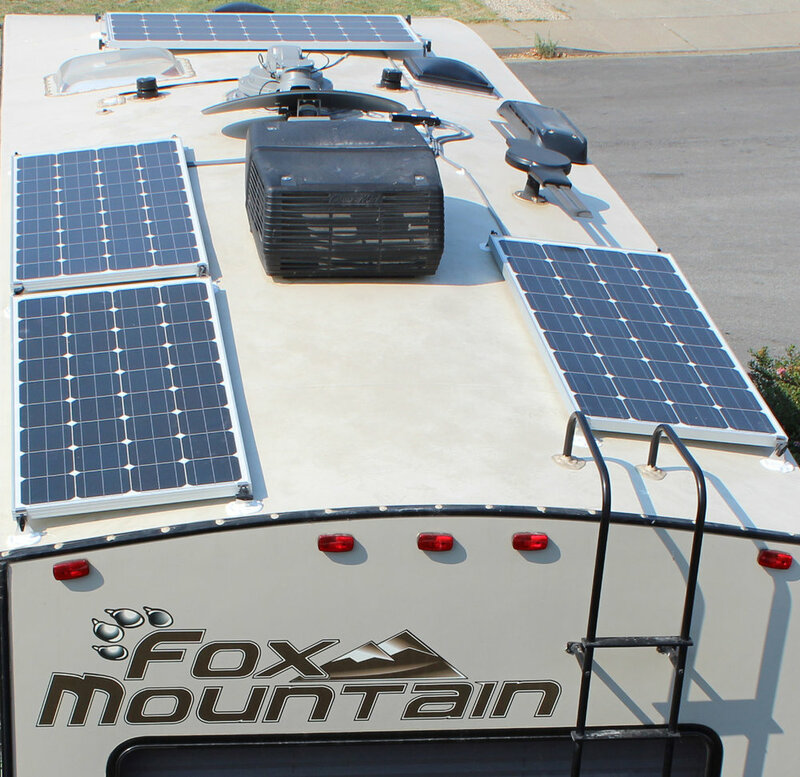 A Progressive Industries EMS and Magnum Energy MSH3012 Hybrid Pure Sine 3000W/3900W surge inverter w/ ME-RC50 remote compliments the system and provides residential power throughout the coach.